Obviously these are always on sale for .50¢, so when the coupon doubles, the bars will both be free! Congratulations, Brandi! Just email us your mailing info (bargainmoms@gmail.com) and we will get your card Fed-Ex'd over! Free Goosberry Patch Cook Book from Post! GO HERE for yours! 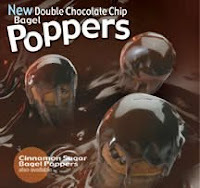 Free Bagel Poppers @ Einstein Bros.
Print this coupon good for a free sample. 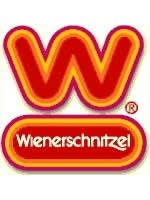 Get a free Chili dog at Wienerschnitzel. 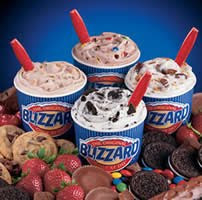 plus, Register here for the Blizzard Fan club at Dairy Queen and get 2 Blizzards for the price of one! 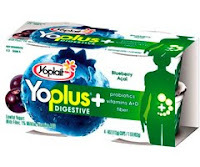 Register here for a coupon good for a free sample of YoPlus yogurt. If you stop by Jack in the Box on Tuesday, 2/23/10, all you have to do is purchase a large drink (what BargainMom doesn't need a caffeine fix now and again?) and get a FREE Grilled Sandwich. You can choose from grilled turkey, bacon & cheddar or the grilled deli trio. (1 sandwich per person...let's not get greedy. :) And you don't even need a coupon! JCPenney: $10 off $10 or more online and more! Coupon Geek has a great post HERE on JCPenney's Rewards program and how to get another $10 off of $10 purchase. Plus, she shares a link for $10 off of a $25 purchase! Aeropostale: Take an Extra 30% off clearance items! 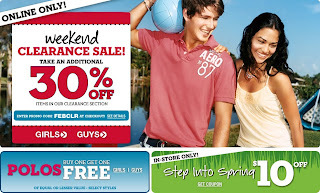 This weekend Aeropostale is giving an extra 30% off of all their clearance items! Enter the code “FEBCLR” at checkout. Kohls: 20% off everything code! Now through February 21, you can take another 20% off any item at Kohl's with coupon YOURGIFT. Stack this coupon with deals from Kohl's clearance section for some great buys! Here's a great low price on Emerson's Electric Guitar & Karaoke System, just $19.97. Turn your living room into a karaoke bar! This bundle turns any DVD player into a karaoke system, allowing you to view the lyrics on your TV while singing and playing guitar. 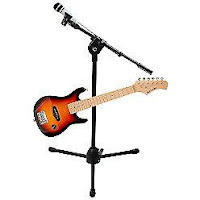 Includes sunburst electric guitar, plug 'n sing DVD microphone with battery, expandable microphone boom stand, and 100 songs on three DVDs. A training video is also included. Shipping adds a spendy $12.50, but you can avoid this by choosing local pickup in your area where available. Other coupons are available as well, including $5.00 off a Playskool Sit & Spin, $5.00 off PlaySkool Walk N Ride etc. Bath & Body Works: Antibacterial sopas: $2.40 each! Bath & Body Works is having a sale on Anti-bacterial Hand Soap 5/$15 again. 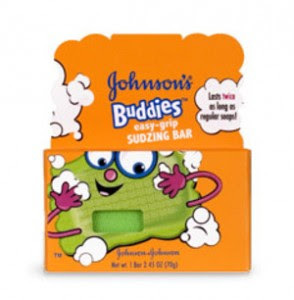 GO here for a coupon for a FREE Anti-bacterial soap with $10 purchase. You pay: $12/ 5 hand soaps or $2.40 EACH! 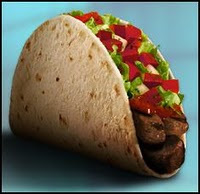 Taco Bell: Free Fresco Taco again! Go HERE to print a coupon for a free Fresco Taco at Taco Bell! Coupon expires seven days from the print date. No purchase is necessary. 3. Whatever Happened To The Girl In Me? MORE TO COME, SO CHECK BACK IN A FEW! Free Pampers Gifts To Grow Points! Go HERE . Registration is free and you get all kinds of great prizes. Check my last post HERE for 150 more free codes and points! 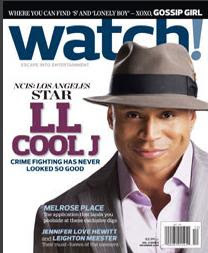 Remember the good 'ol days when we would get *crap loads of Johnsons' Soap for free? You can get the buddy bars for free or almost free at Wal-mart, CVS, Frys etc. *Yes, I just said crap loads. Take $20 off $40 using Code: 020002565 - Valid 02/17/10 only. The best part? It works on CLEARANCE ITEMS! (includes orders from Lane Bryant, Cacique, Catherines and Fashion Bug). Free: Sample of Tropical Chewy Lemonhead candy! GO HERE and simply provide your name, address and e-mail address and receive a sample in the mail of Tropical Chewy Lemonhead candy! Limit of two per address (one per e-mail address). 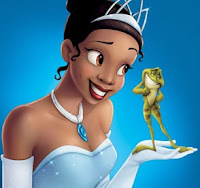 Disney: Free Phone Call from Princess Tiana! Go to DisneyMovieRewards.com and enter GUMBO in the enter code box. You will recieve an email detailing how to get your call! If you haven't signed up with DisneyMovieRewards.com yet and want to learn more, go HERE. For another 55 extra points, login to your Disney Movie Rewards account and enter these two codes: 29VM48FNDZ and 9FTMRYWEK. Thanks, PYP for the printables! Just walking through my house, I can count at least 15 frames that I personally have bought from them, plus many other things such as lamps, wall scrolls etc. No only are Kirkland's items great, they are affordable! For your first entry, visit Kirkland's and leave us a comment on this post telling us what you would love to buy! For a second entry, leave a SEPERATE COMMENT letting us know that you either are now a current fan of Kirkland's on Facebook or have registered with Kirkland's for their special offers and coupons! Visit HERE for their FB Fan Page, visit HERE to sign up for special offers and coupons! 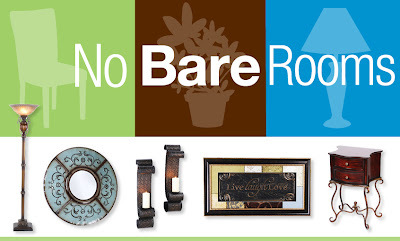 For a BONUS ENTRY, follow BargainMoms on Facebook or our Blog! Leave a SEPERATE COMMENT letting us know that you have joined the ranks! The winner of the $50 Kirkland's Gift Certificate will be chosen through Random.org on Monday, February 22nd. Valid through 3/14/10 while supplies last at participating Hallmark Gold Crown retailers. Limit one free card from the Hallmark kids collection per customer. Offer is in store. No coupon needed just bring your free kids card to the register and mention the TV commercial. Log in or register to Vocalpoint. *Strength against damage. Shampoo vs. non-conditioning shampoo. **Must be a Vocalpoint member; limited quantities available. Only one Pantene Nature Fusion Sample will be mailed per member. GO HERE to get a free sample of Tide Plus Febreeze, plus a $1.00 off coupon! Get Your Free Biggest Loser and Subway Workout Mix FREE! Disney Movie Rewards: More FREE POINTS! 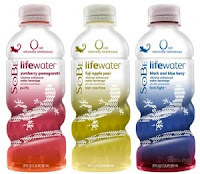 Free Sobe Lifewater this week at CVS! Family Dollar: Coupon Book can be stacked w/ Manf Q's! Family Dollar stores have a new $27 Coupon Book, available both online and in-store. These coupons can be stacked with manufacturers coupons. There are several .50 coupons for health & beauty products and some great $1.50 coupons for Hanes too! More FREE Right Guard Deoderant! Safeway has Right Guard deodorant on sale 10/$10 (or $1 ea). Buy two and use the $2/2 Right Guard coupon here and if you’ve already printed from coupons.com you can now print another from smartsource.com $2/2 Right Guard coupon here to get them free after the coupon! That's a lot of free deoderant! Final price: is .16¢ – .66¢! Then use FREE $5 Target gift card when you buy Scrubbing Bubbles Shower Kit SS 11/15 , so when taking the gift card into consideration = final is .99¢ for a new Scrubbing Bubbles Shower Kit! All sizes, all styles of Converse are on sale at 6pm! I just got my 1 year old a cute pair of Chuch Taylors for only $14.00! Rarely can I say that I post a bargain or great deal just for one of by brothers. This one is for them! Get the new Angels & Airwaves entire album for FREE HERE. Kirkland's is having a huge sale, and is also offering an extra 25% off of green tag items. Plus, for a $10 off $50 coupon, go HERE. Gymboree: $250 Gift Certificate Giveaway! This is your chance to win a $250 gift certificate from Gymboree Gymboree, courtesy of BabyWeekly. The contest runs from February 1 - 28, 2010. We will be selecting two lucky winners. Babies 'R Us & Toys 'R Us Deals! Click HERE for the entire book of coupons. You will need to find your specific store, as coupons may vary by region. Included are: $5 off $25 Purchase, Free $20 Gift Card WYB any two boxes of Huggies Diapers and one box of wipes etc. % and $ off of toys, bedding, baby items and much more! Just sign up to receive offers from Old Spice and receive a free Old Spice Razor by mail! print out the coupon and present it at checkout to receive $10.00 off a purchase of $20.00 or more at Buca di Beppo. Even works for take-out! 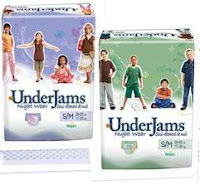 Get a free three-pack sample of Pampers Cruisers with Dry Max. Simply provide your name, address and e-mail and select the size you'd like (3 through 5). You'll have the option of printing coupons for a half-dozen or so other Proctor & Gamble products, and of electing to receive future offers.